In this program your audience will be able to benefit Kelly’s 10 years in the book publishing industry. 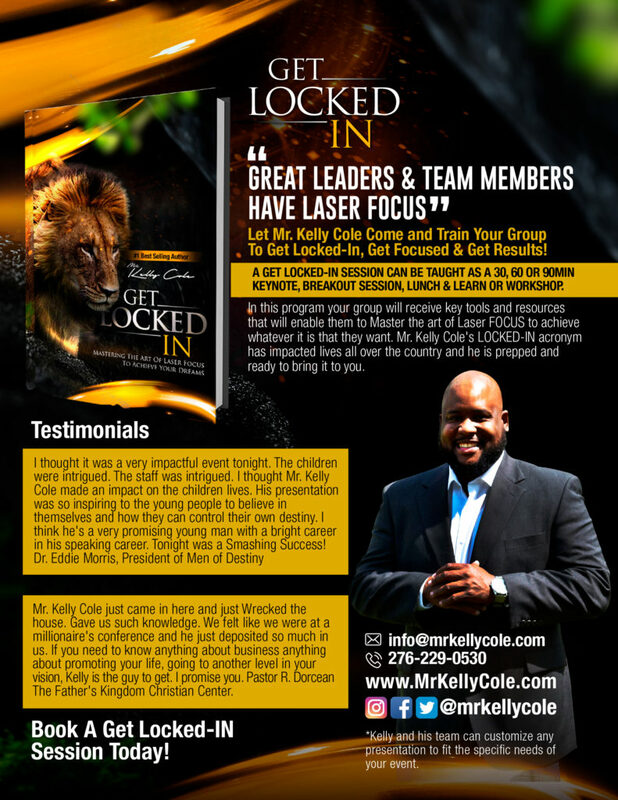 Kelly is the co-creator of the Book It Master Class and has published everything from a 16yr old blind girl to retired NBA & NFL Players. Plus Doctors, Bishops, Apostles & everybody in between. In this program your audience will receive key tools and resources that will enable them to Master the art of Laser FOCUS to achieve their Dreams and Goals. GET LOCKED-IN, GET FOCUSED, GET RESULTS! In this program your audience will discover The Secret Formula Solomon Used To Create His Massive Wealth, Plus Step by Step instructions on How To Activate The Same Formula in their lives, so they can live the Life Of Abundance God said they could live! 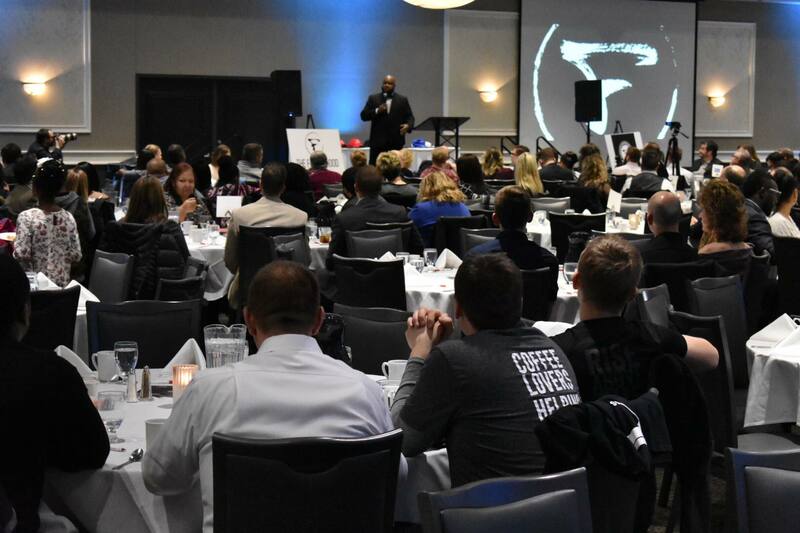 In this program your audience will receive key tools and resources that will enable them to quit making excuses and start making things happen in life, in business, in the classroom and on the court or field! In this program your audience will receive a powerful presentation filled with key tools and resources that will shift their mind to think, act and do what an successful entrepreneur does. Kelly believes mindset is everything. What you think you become. How To Write A Book and Publish A In 2 Weeks! In this program your audience will be able to benefit Kelly’s 18 years in the music business. Kelly took his son from 4yrs old local Christian Rapper to signing his first record deal at 15, second deal with a major label at 16. Kelly has consulted clients who have appeared on OWN, Real House Wives of ATL, Bravo, NBA, WORD network, MTV, BET, Atlantic Records, Bad Boy Records, Capitol Christian, Word Records. *Kelly and his team can customize any presentation to fit the specific needs of your event.